In this series of articles I will demonstrate how on at least one key, strategic question of revolutionary politics, the quotation above condemns the entire Spartacist tradition, including its latter day critical supporters such as the Tom Riley-led Bolshevik Tendency, the Bill Logan-led International Bolshevik Tendency, the Internationalist Group/League for the Fourth International of Jan Norden, and not least the Spartacists themselves, led by the aged James Robertson, who must today be nearly 90 years old. The terminology about ‘Marxism-Leninism’ stems from the fact that they were at that point polemicising against Maoists around their distortion of the concept of ‘economism’. But the point made is not confined to that kind of revisionism, it encompasses virtually every kind. There are few quotes in the history of Marxism that do not need to be put in some kind of context, but this one is so basic as to be probably an exception. But to avoid being accused of quoting out of context, it is appropriate to clarify what the context actually was. Part I of this series will deal with the theoretical basis of the revisionism of the ‘Spartacist family’ and their rejection of the rational, scientific process by which a Marxist understanding and theory is developed, in favour of the subjectivism that is the hallmark of political cults and sects. Part 2 will deal at length on the basis of the understanding developed in part 1 with a detailed dissection of Alan Gibson’s recent substantial article criticising Socialist Fight in general and this author in particular from the perspective of the Spartacist family’s revisionist position on how Trotskyists deal with Popular Fronts. And part 3 will deal with a separate issue in comrade Gibson’s article; the unusual circumstances of the 2003 Iraq War and its aftermath, the formation of the Respect Coalition/Party, and the intrusion of Shachtmanoid methodology into the BT’s polemics equating that formation with the Popular Fronts in France, Spain and Chile, and the BT’s attack on the third –campist CPGB/Weekly Worker group for not being third-campist enough. This item is a part of an ongoing discussion between Socialist Fight as an orthodox Trotskyist tendency, and comrade Alan Gibson, a long-time Marxist cadre living in Ireland, who supports the Bolshevik Tendency (Riley group, centred in Canada) mentioned earlier. In the aftermath of the 2018 split of this grouping from its previously long-time co-thinkers in the International Bolshevik Tendency (Logan group, based in New Zealand), there has been a flurry of discussion and exchanges between the former group and ourselves. The overlapping names of the two groups are their own problem: more important are the political questions that have come to the surface in the split. Comrade Gibson is not a member of the Bolshevik Tendency per se; but he is an ex-member and long-time, very loyal political supporter of theirs and it does appear that on this question he is acting to an extent as their political representative. This item, replying to his most recent literary response to us in the ongoing discussion, treats him as a representative of the BT. This is in reply to his second substantial document in this exchange, Working Class Independence and Popular Fronts (https://revolutionaryprogramme.wordpress.com/2019/01/13/working-class-independence-and-popular-fronts/). Earlier documents in our exchanges can be read backwards by following the links in the relevant articles; the origin of the discussion is in material by me, then an IBT member, in opposition to the sectarian revisionism of the BT/IBT on the central class question of the Popular Front (which they inherited from their political parents, the Spartacists), as long ago as 1998. The debate only resumed after the IBT split 20 years later. A key aspect of the revisionism of the Spartacists and their political descendants is a subjectivist, manipulative and anti-Marxist attitude to theory. As Marxists, we consider that there is a complex interaction between theory, programme and practice. We adhere to the materialist conception of history, the holds that the struggle of humanity to produce its means of life and reproduction, and social conflict related to that struggle, is the primary factor in history. Material reality is what is decisive for us; our theory is based on a detailed examination of that reality to uncover the real social relations that drive a given society and make it move, so to speak. Theory starts from observation of concrete facts, and goes deeper, looking at the contradictions within all phenomena, pathways of change, continuities and discontinuities that drive social and economic change, striving to achieve a coherent picture of social and economic reality that in turn is a guide to political action. Our programme is guided by our theories. Though theorising and examining reality is a never ending process, nevertheless our examinations of current and evolving phenomena are coloured and in part derived from our understanding of past phenomena, previous struggles, revolutions, etc. Thus as Marxists we base ourselves on the previous work done by such revolutionaries as Marx, Engels, Lenin, Trotsky, Abram Leon, and others who immersed themselves in the most advanced struggles of their times, and produced coherent theoretical frameworks that drove both their activities and the writings that they handed over for posterity to later Marxists. 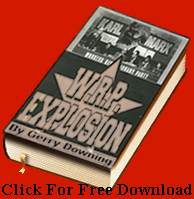 However, as Marxists we have no choice but to continually examine and study social and economic reality, and it may well be at various times insights are gained from such study and theoretical work that cast a new light on important tenets of what was assumed to be Marxism inherited from the past. There is nothing wrong with such things, provided they are acknowledged openly. We are not dogmatists, who deny reality to try to hammer current events into a mould derived from the past like a square peg into a round hole. But what we do not accept is the making of unacknowledged changes, without accountability, and without therefore a proper balance sheet of what was wrong in the past. If it transpires that we discover in the light of later knowledge that a figure from the previous history of Marxism, such as Trotsky, made serious errors, the responsibility of Marxists is to acknowledge this openly, in order to correct it. What are not permissible are evasions and falsifications, designed to hide the errors of previous Marxists, in order to bask in their authority. If something was wrong in the past, it must be openly acknowledged, not least in order that the lessons are fully understood in order to avoid repeating them. To refrain from such criticism would only be inverted revisionism, sharing the whole method of dishonesty with that of revisionists. Our approach is counterposed to the method of revisionism, as laid out in the quote from Spartacist at the top of this article, where in order to preserve a spurious authority from the past, events are falsified or illogical, self-contradictory narratives are constructed to demonstrate that what needs to be changed (if it does!) never needed to be changed at all, and in fact there was no real change. So a policy that has a very different content today to the policy that was followed in the past, is deemed by various evasions to be the same, in essence, as that older policy. This kind of obscurantism is a terrible problem on the fragmented, Trotskyoid left, and the Spartacists are one of the worst offenders. As part of dealing with Alan Gibson’s recent material on the popular front, which is infused with this Spartacist-derived method, it is necessary to confront this issue head on. The above is a brief summary of the method of Marxism in examining the real world and developing theory. It could be summed up as a dialectic that proceeds from the concrete, to the abstract, and back again to an enrichment of our understanding of the concrete through this process of abstraction and de-abstraction. But the Spartacists have a different method. It is quite difficult to pin down exactly what it is, as there has to my knowledge been no systematic elaboration of this method in an article, for instance, but only a few small snippets here and there. Though anyone with experience of the Spartacists will have come across James Robertson’s aphorism that ‘programme generates theory’. “This points to a more general question: the relationship of program to theory. Many leftists are wont to cite Lenin’s phrase, ‘Without revolutionary theory there can be no revolutionary movement.’ Quite true. As he emphasized, ‘the role of vanguard fighter can be fulfilled only by a party that is guided by the most advanced theory.’ But over Yugoslavia the FI was faced with a theoretical failure. How do Marxists evaluate this and rectify it? We have synthesized this question in the aphorism, ‘program generates theory.’ This arose in discussions with the Wohlforth group (predecessor of the Workers League) in the early 1960s, with particular reference to Pabloism. Wohlforth had split the Revolutionary Tendency on orders from Gerry Healy, and in acting as Healy’s man he also took on The Leader’s peculiar emphasis on disembodied ‘theory’ as a club to beat opponents. This statement, that the Bolsheviks’ theory of the ‘democratic dictatorship of the proletariat and the peasantry’ meant that “The Bolsheviks and Lenin had an incorrect theory, a sufficient but not a correct theory, but up to the supreme moment they had the correct political conclusion of not making alliances with the liberals” is subjectivist. It implies that ‘political conclusions’ can be divorced from theory and can act in contradiction with theoretical understanding, that there is some kind of moral superiority that inheres in those who hold particular political views that allows those people to draw conclusions that are outside of their theoretical understanding and jump to ‘correct’ conclusions, the theory being adjusted to catch up later. This is subjective, because there is no objective criteria, no theorisation, as to why such leaps beyond the understanding of a political trend should happen, and no way of predicting it objectively. It appears to inhere in the moral qualities of the people concerned, a self-conception that is very convenient for the Spartacists and fits very well with their religious view of themselves. Actually, there is a political-theoretical explanation why Lenin, who was the theorist of imperialism as the epoch of predatory wars and the eve of the proletarian revolution, which had completely superseded the epoch of progressive capitalism, should have been forced to abandon the theory of the ‘Democratic Dictatorship of the Proletariat and Peasantry’ under the impact of the 1917 revolution. Put simply, Lenin’s earlier understanding presupposed that even though the bourgeoisie was too cowardly and fearful of the proletariat to carry out its own bourgeois revolution, nevertheless it could be a passenger (or hostage) while the bourgeois revolution was instead carried out by the ‘democratic dictatorship of the proletariat and peasantry’ as a kind of locum for the sullen and passive bourgeoisie. It is very clear that Lenin changed his understanding of capitalism, and the progressive potentialities of capitalist development, after the outbreak of the 1914 war and the collapse of the Second International. Lenin was not so admiring of Guesde and Hyndman when they became social patriots and social imperialists after 1914. The adoption of his new theory of imperialism, helped along by Hilferding and then Bukharin, led to a revolution in his thinking on the whole question of progressive capitalism. It is obvious that the theory of the ‘Democratic Dictatorship of the Proletariat and Peasantry’ was in contradiction to this change in Lenin’s understanding, and could not survive for a moment given the eruption of a real revolution in the midst of imperialist war in 1917. Thus it was not ‘programme’ disembodied from theory that caused Lenin to abandon the ‘democratic dictatorship’ in 1917. It was the contradiction between this backward, flawed theory based on an outdated view of capitalism even at the time it was formulated, and the more advanced theoretical understanding that guided Lenin’s programme after 1914, of seeking to turn the imperialist war into a civil war. Thus it was not ‘programme’ abstracted from theory that generated Lenin’s theory in 1917, but a more advanced theory (imperialism!) and the programme that flowed from it, which compelled Lenin to abandon a flawed theory (and programme) and throw it into the “museum of pre-revolutionary antiques”. Trotsky’s theory of Permanent Revolution, on the other hand, was ahead of its time when it was first formulated in 1905. Even though it was not generalised by Trotsky himself to all underdeveloped countries until 1927 after Stalin’s Chinese debacle, Trotsky’s observations in 1905 about the counterrevolutionary role of the bourgeoisie and the necessity for the proletarian dictatorship as the only way to even resolve the tasks associated with the bourgeois-democratic revolution in Russia, were shown in practice to be in tune with the new epoch of imperialism, even though Trotsky himself was not fully aware of the implications at the time he wrote Results and Prospects. This is why Lenin was irresistibly drawn to reproducing its conclusions as soon as the 1917 revolution grew out of the circumstances of the imperialist war, and why he essentially “became a Trotskyist”. This is a real dialectic of theory, programme and practice, that completely eschews the subjectivism of Robertson’s “programme generates theory” maxim, which is in fact the sanctification of subjectivism, megalomania and ‘insights’ that jump over obvious historical facts in formulating obscurantist nonsense as a substitute for real theory. Having dealt with this at the most generalised level, we now come to a more concretised expression with this when we deal with Jan Norden’s attempts to account for the fact that the Trotskyist movement, and Trotsky himself, though they considered the Popular Front to be the “main question of proletarian class strategy for this epoch”, never endorsed, or even considered, the Spartacists’ position that if a mass bourgeois workers party, such as the British Labour Party or say the French Communist Party, stands for election as part of an electoral or aspiring governmental bloc with an outright bourgeois party, it is “class treason” to give them any critical electoral support in any form. A defence of Norden’s obscurantism is at the root of the errors of Alan Gibson in his reply, and along with a liberal dose of “programme generates theory” type subjectivism, is the basis for the long recital of irrelevant Trotsky quotes that Alan gives to buttress the series of non-sequiturs that his reply to me really consists of. “Now I want to say something about a little historical research I’ve been doing, and that is the question of the popular front in the 1930s. The French GBL (Groupe Bolchevik-Leniniste) had the position of supporting the social democrats or Stalinists in those districts where it didn’t run its own candidates in the 1936 elections. Let us dissect this a little. How does Norden know that the GBL had a policy of voting for the workers parties, the SP and CP, that were part of a Popular Front bloc with the bourgeois radicals Herriot and Daladier in the 1936 election? The reason that he knows that is because he found copies of the GBL’s internal bulletins that spelled out the rationale for this policy in the Trotsky archives in Harvard University, to whom Trotsky bequeathed them to preserve the historical record. Who did these internal bulletins belong to? They belonged to Trotsky; they were in Trotsky’s archive, they were therefore in his possession. Yet Norden speculates that Trotsky did not know about the GBL’s policy, with the clear implication that had he known about it, he would have condemned it as a centrist, capitulationist policy, as “class treason”, as the Spartacists’ call the policy that the GBL carried out. What is their evidence that Trotsky never read the issues of the GBL’s internal bulletins that were clearly in his possession, as they are in his archive? They have no evidence whatsoever. Their only ‘evidence’ that they were not read was that they were not marked with scribbled notes condemning the policy. But since when was it normal practice of anyone to deface all written items in their possession? This is normally the fate of contentious items. Occam’s Razor simply says this material was not defaced because it was not contentious. This is an example of programme generating theory. Norden’s programme was and is to defend the Robertson position on the popular front by means of any theory, no matter how flimsy, that he can concoct, even if it insults the intelligence. This is a requirement in political cults when the leader gets revelations outside of reality. Reality has to be bent to defend such revelations. We are supposed to believe that this is a principle for the Trotskyist movement; that any sort of critical support for bourgeois workers parties involved in a popular front amounts to support for the popular front itself, which Trotsky himself considered to be “not a tactic, but the greatest crime”. And yet, not only did the GBL carry out a policy of “class treason” which Trotsky was supposedly unaware of; even though the evidence of it was in his possession, right under his nose, he did not read it. He also remained unaware of it for the rest of his life, apparently. Otherwise he could not have remained silent about it, considering that he not only considered the popular front “the main question of proletarian class strategy for this epoch”, but also that endorsing a popular front is “not a tactic, but the greatest crime”. Of course if he had learned of this ‘traitorous’ GBL policy later, if Trotsky had considered that the GBL policy was the same as endorsing the popular front and amounted to “class treason” as the Spartacists say, surely as a principled revolutionary Marxist he would have felt compelled, on principle, to account for this ‘class treason’ politically? Evidently! He would have been duty-bound to explain that he had somehow not been aware of it, and how the French section of the Trotskyist movement had committed such an awful treason, and how the rest of the Trotskyist movement, much of which cannot have failed to have been aware of this treason even if by some fluke Trotsky was not, and which had been trained and hardened to oppose such “class treason”, had not criticised it and had not brought it to Trotsky’s attention either in the more than four years between the elections of June 1936 and Trotsky’s murder in August 1940. Had he known of these acts of “class treason”, either at the time or subsequently, and had considered them to be acts of class treason, then Trotsky would have had no choice politically to denounce them. Not to have done so would have meant that Trotsky himself would have been just another centrist, just another Raymond Molinier or Andres Nin, a capitulator to the Popular Front, part of the reformist-centrist-Labourite swamp, to use the invective of the Spartoids. Either this is true, or Norden, on behalf of Robertson, was engaged in consciously, if feebly, falsifying history as part of cohering the Spartacists into a political cult. But Alan does not think this is a big deal. He simply says that whether Trotsky knew about this “class treason” or ever subsequently discovered it on the (preposterous) assumption that he did not know about it at the time “is clearly not decisive either way.” Actually it is. Because in Spartacist terms, if he did know about it, either at the time or later, and failed to condemn it, then he is complicit in “not a tactic, but the greatest crime”, over what was the “main question of class strategy for this epoch” and was therefore guilty of “class treason” and a centrist capitulator to the popular front himself. Stalin once said that “paper will take anything that’s written on it”. But the problem with that is once something is written down and published, it is out of the control of its author. It cannot be un-written. And the logical contortions that Sparts and neo-Sparts tie themselves into to justify indefensible rubbish like this can only make them a laughing stock among serious students of Marxism. So having set the framework, lets examine Alan’s reply in more detail, and deal with the numerous non-sequiturs that litter it and expose his use of the same kind of non-logic that Norden and Robertson are the pioneers of. First of all, a note on the term ‘non-sequitur’. The Oxford dictionary defines this as: “a conclusion or statement that does not logically follow from the previous argument or statement”. Merrian-Webster defines it as “1 .an inference that does not follow from the premises” or “2. a statement (such as a response) that does not follow logically from or is not clearly related to anything previously said”. This is important, because non-sequiturs are a key element of Spartacist-derived “logic”. They arise from the subjectivist notion that “programme generates theory”, i.e. the notion that some quality of “programme”, that is, the impulse to revolution that inheres within particular ‘chosen’ political trends or individuals, generates theory by a mystical process. This is the opposite of a rational, materialist worldview, which postulates that the programme of Marxists is derived from developing a coherent materialist view of the world and social processes through study of social reality and rational debate and discussion of its manifold complexities, which often take the most subtle, dialectical forms but are ultimately rational and can be understood scientifically. That in our view is the foundation of scientific materialism and scientific socialism. Those who reject such rationality implicitly cannot but pepper their arguments with non-sequiturs therefore. “For workers it is not just an ideological conflict, it is a conflict of social forces. Advanced workers may well reason that if the strength of ‘our’ party causes some fragmentation among the bosses and some small bourgeois currents are tempted, for their own reasons, to ally with the workers party against the main ruling class parties, then that is a sign of the strength of the workers movement, not a danger to it. Of course we want to overcome reformism and implant a revolutionary programme in the mass parties of the working class. I will come back to the question of Bolshevik tactics in 1917 shortly, as this is a characteristic piece of Spartacist demagogy. However one point that is worth noting is that when Lenin and the Bolsheviks demanded “down with the ten capitalist ministers” and promised to support the Mensheviks and SRs against reaction if they broke with the ‘ten’, they were not promising to vote for them in an election. By ‘support’ they clearly meant military support, by means approaching civil war. This impinges on the question of the workers government, not electoral support at a qualitatively lower level of class struggle. The non-sequiturs in the above reasoning from Alan are obvious. Nowhere in the above does it say or even imply that it was “effectively impossible” for the Chilean workers to break from the Popular Front programme. What it does say is that the working class will not reject voting for what it sees as its own parties in response to ultimata from people with no authority in the working class that their historically evolved class parties must be rejected because of a block with bourgeois parties. That is a completely different question. The conclusion does not flow from the premise. When workers break from the class-collaborationist ideas and practices of the leaders of a bourgeois workers party, they will not automatically or simply break from supporting that party. They will fight to change it, to persuade or force their leaders to adopt better ideas and practices, and if they don’t show signs of complying, they will support oppositional trends that will inevitably arise and, sincerely or falsely, promise to rectify these ideas and practices. They will not just reject their parties on the basis of an ultimatum. Trotsky understood that, which is why he hailed the actions of the French workers in forcing the “Ministry of Blum” upon the SFIO and PCF in the 1936 election as opposed to the “ministries” of the bourgeois Radicals Herriot and Daladier, whom the reformist misleaders would have preferred to hide behind. The non-sequitur is in the statement that these workers “did not yet have a revolutionary class consciousness”. That conclusion comes from my premise, not his. I said that they had a partial class-consciousness, thus obviously they did not have a revolutionary class consciousness. His premise, on the other hand, is that the class contradictions of the bourgeois workers party are ‘suppressed’ when a bourgeois workers party enters a popular front with a bourgeois party, and cease to operate. So how then can the consciousness of those at the base of such parties who support (for ‘tactical’ reasons) such blocs be considered class-consciousness at all? Trotsky addressed this concretely with his statements that the Popular Front is not just a tactic, but “the greatest crime” and that the Popular Front was “the main question of proletarian class strategy for this epoch” and “the decisive criterion for the difference between Bolshevism and Menshevism”. These were polemics precisely directed at the workers and intellectuals within the SFIO and PCF (and for that matter the centrists like Pivert, Molinier, Nin etc.) who considered that the Popular Front was just a tactical question. He was telling them that they were wrong, that this was an illusion, that their class conscious activity was undermined by what they erroneously considered to be a tactical question but which was itself strategic, that the Popular Front was a strategic trap that helped create the political conditions for fascism to crush them. What he was not telling them was that they had no class consciousness whatsoever, that the only way that they could assert some kind of even basic class-conscious activity was to refuse to support the parties that the working class had built up themselves over decades to defend their interests in a basic way, until the leaders broke with the ideology that many of the rank-and-file were prepared to accept, at least until reality and the attacks of the ruling class on the working class base of those parties made it untenable. For the privileged political and trade union officialdom to adhere to such blocs and see them as tactical was one thing. For the workers supporting it, who may well at the outset accept the arguments of their leaders in favour of the Popular Front, but who face the attacks of the bourgeoisie that continue under the political cover of the Popular Front, maintaining that ideology is quite another thing. That is the class contradiction that continues to exist when the bourgeois workers parties stand as part of a Popular Front bloc and then take office as part of such a bloc. Far from being ‘suppressed’ as the Spartacist charlatans maintain, the contradictions within a bourgeois workers party are exacerbated when it enters a Popular Front, and the workers are in a disadvantaged position because their privileged bureaucratic leaders are allied with part of the outright enemy against them. It is to exploit that contradiction that both critical support and entrism become exceptionally important tactics for Marxists to bring home to the base of the class conscious supporters of these parties that this is a strategic, existential question, not a mere tactic as reformism maintains. Trotskyist tactics aim to explode this contradiction from within. For the Spartacists, on the other hand, there is no such contradiction until the Popular Front ceases to exist. That is an anti-Marxist absurdity.